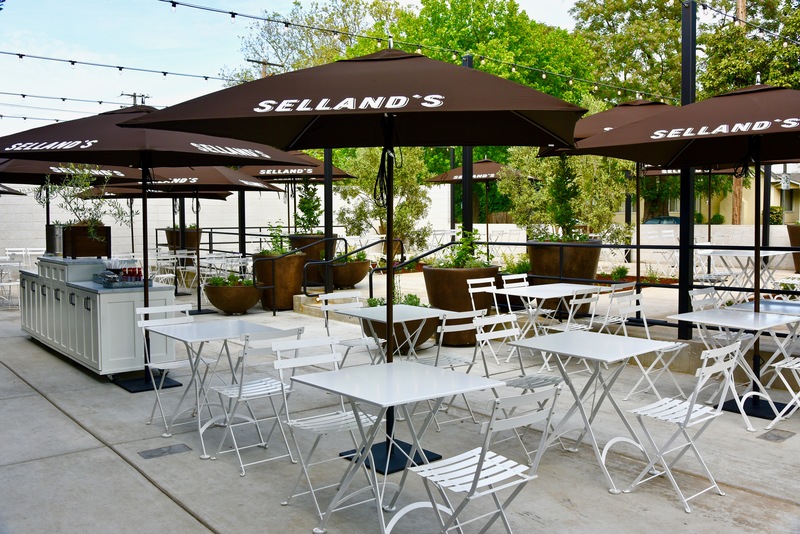 Our newest Selland’s location opened April 2017. Selland’s Broadway is conveniently located off the Highway-50 corridor taking I-80 West at the 10th Street exit, I-80 East at the 5th Street exit and a I-5 North at the Broadway exit, with quick access from surrounding neighborhoods. It’s just five minutes from Downtown and the CA State Capitol, and ten minutes from Pocket/Greenhaven, West Sacramento, Natomas, Elmhurst and Davis. It is directly across the street from the Sacramento Historic City Cemetery, and just a block away from the Sunday Farmer’s Market under the freeway. There is plenty of parking available, with a full-size parking lot of over 60 spots onsite, as well as 60 spots of street parking. The new location is bike and pedestrian friendly, with public access to walking paths from Broadway. There is additional bike parking that includes 44 bike parking spots. The spacious patio is designed with bistro table seating, umbrellas, olive trees, pomegranate trees and eucalyptus trees, heat lamps and strung lights.